Architecture is at the core of everything we do. We believe architecture can improve people’s lives. We think that our built environment can be made more functional, more accessible, more beautiful, more sustainable and more surprising. We suspect that a creative and stimulating environment makes all of us feel better and allows us to do better work. The various endeavors we undertake range from design to planning, technology integration, to acoustical design, to construction and beyond. But the one discipline at the heart of everything, that provides the framework for all of this activity will always be the one of architecture. 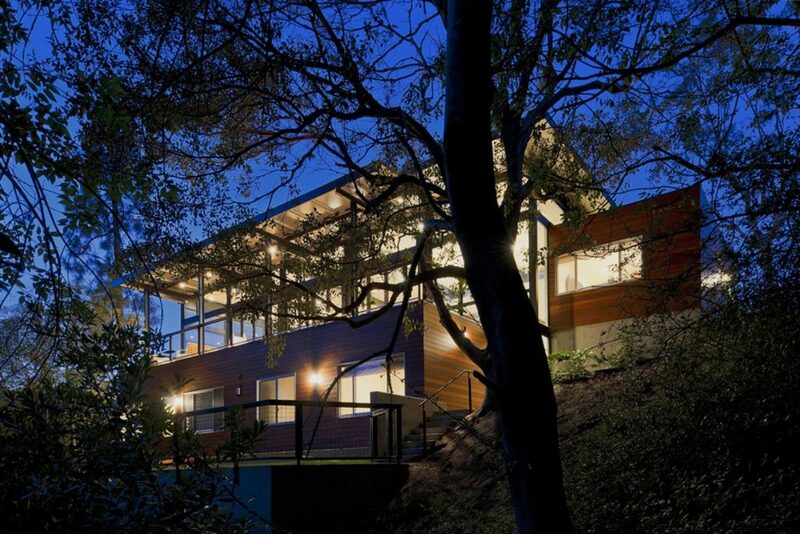 First and foremost we are architects and our passion for the profession is undiminished and undiluted. By doing work that may be considered by some as falling outside the profession, we are taking an inclusive approach. 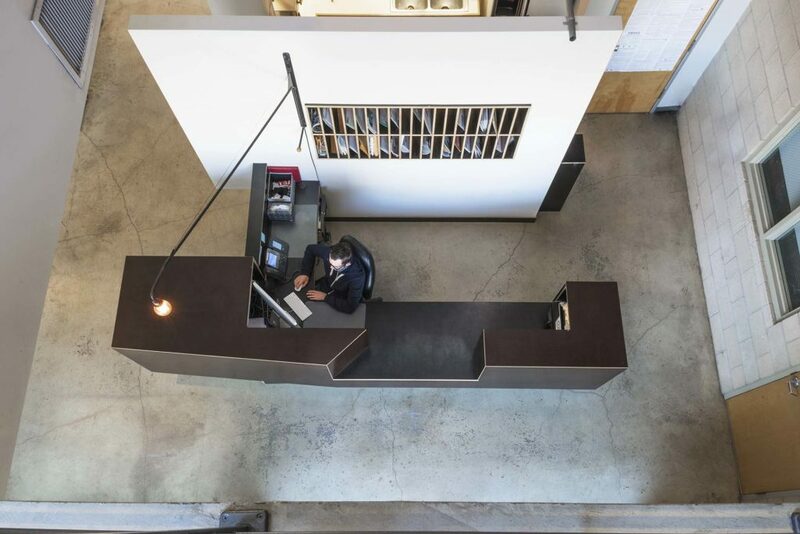 We don’t shy away from taking on additional responsibilities and we believe that a broader definition of what architecture entails is appropriate and enriching. Studio design, the specialty of our studio bau:ton division, includes the conception and planning of any space that serves the production or performance of audiovisual media, such as music, film, television and other media content. 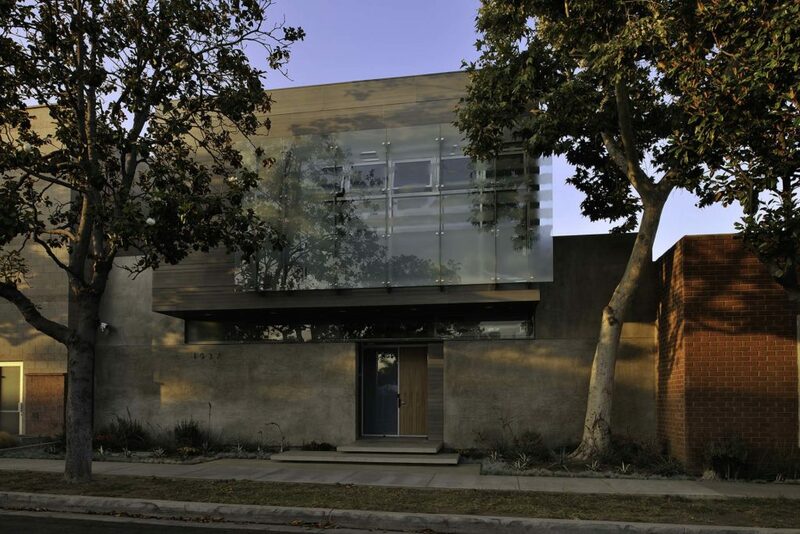 The design of studio spaces and buildings is a distinctive category of architectural practice. 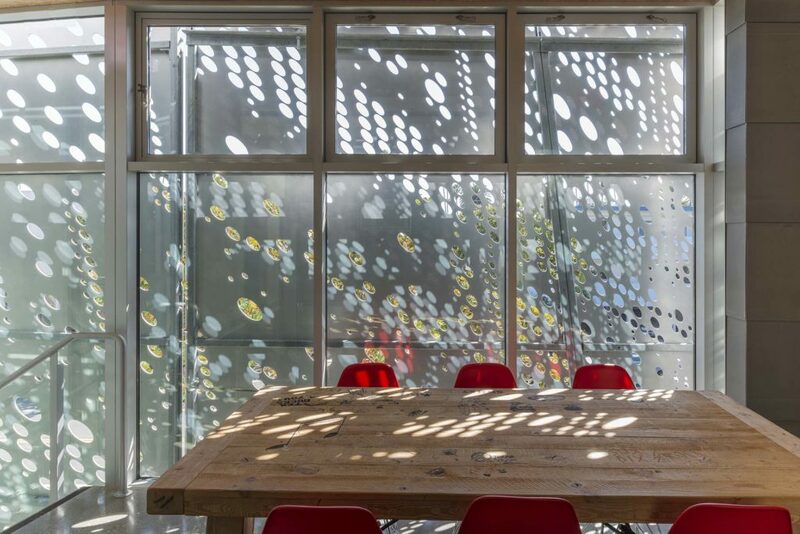 With its complex interrelationships between spatial design, building materials, acoustics and the integration of technology, studio design is a quintessentially architectural task. A keen interest in the theoretical and practical aspects of each space and a solid understanding of the construction methods are crucial for any successful studio project. While often practiced more casually, we believe the creation of acoustically, visually and ergonomically correct spaces should always be guided by an architectural vision and should take into account the overall well-being of its inhabitants. Acoustics is a critical part of any studio design effort and its importance can’t be overstated. Our acoustic approach is based on both theoretical knowledge and empirical experience, but perfect acoustics never come at the cost of practicality or by compromising a creative environment. Our challenge is to find solutions that combine superb acoustic performance with unique and superior architectural and interior design. Despite the paramount importance of the technical equipment it should never be the only driving force in any studio project. The constant and rapid evolution of new technologies and formats requires us to diligently stay in touch with its trends. We attempt to always be aware of new developments, helping us to seamlessly integrate equipment and technology into buildings and rooms. Studio design provides us with the perfect opportunity to apply our love of music, film and the arts in general to our true occupation, architecture and design. This appreciation and respect for all aspects of our projects enable us to continually come up with new and exciting buildings for studios of all kinds. 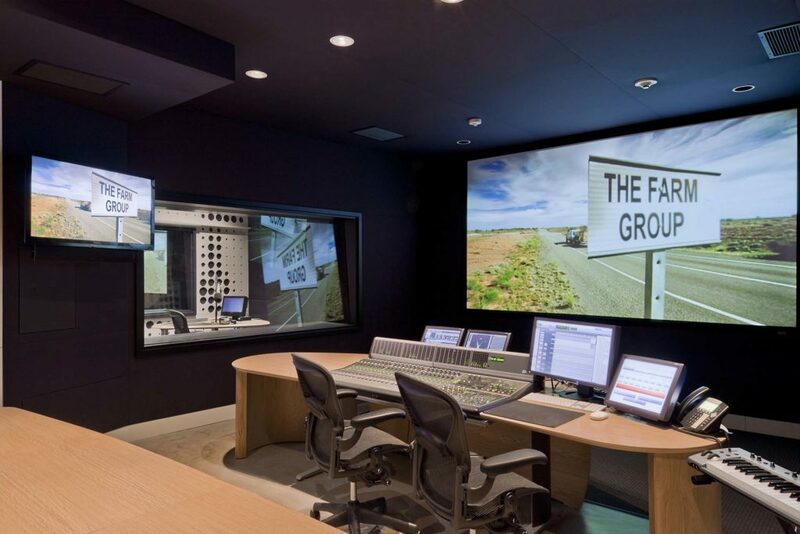 studio bau:ton’s track record of designing some of the world’s most distinctive media facilities over more than twenty five years is the solid foundation for our continued work in this exciting field. Interior design is a natural extension of the architecture and should complement the building and the space it inhabits. A successful interior design scheme should support and enhance the qualities of an architectural space while personalizing it for the user. To integrate the materials, textures and colors of the interior finishes with the architecture, we always look at the building and the interiors as parts of a whole. Determining the way a space feels, looks, and sounds is an important part of any project. Our designers customize architectural spaces that respond to the needs of its inhabitants with a modern and comfortable environment that blends seamlessly with the architecture and its surroundings. 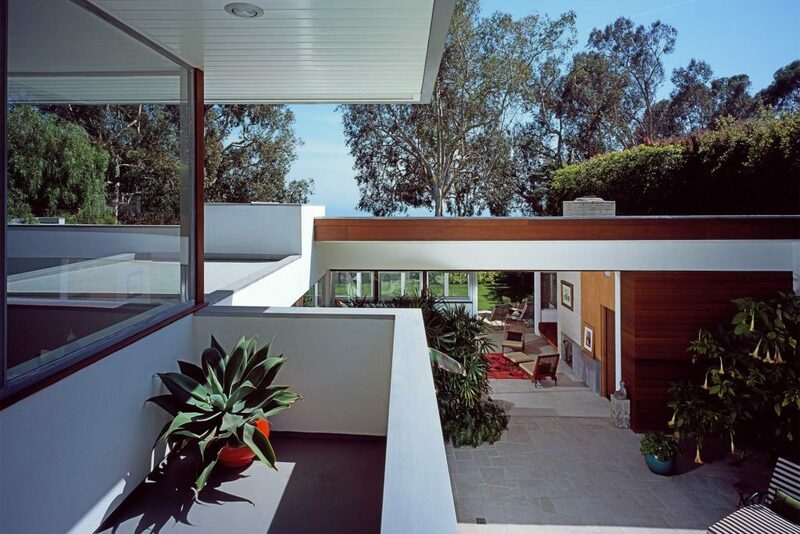 Extending indoor spaces out into the landscape and bringing the surroundings into the building is a common concept here in Southern California and in the history of modern architecture. 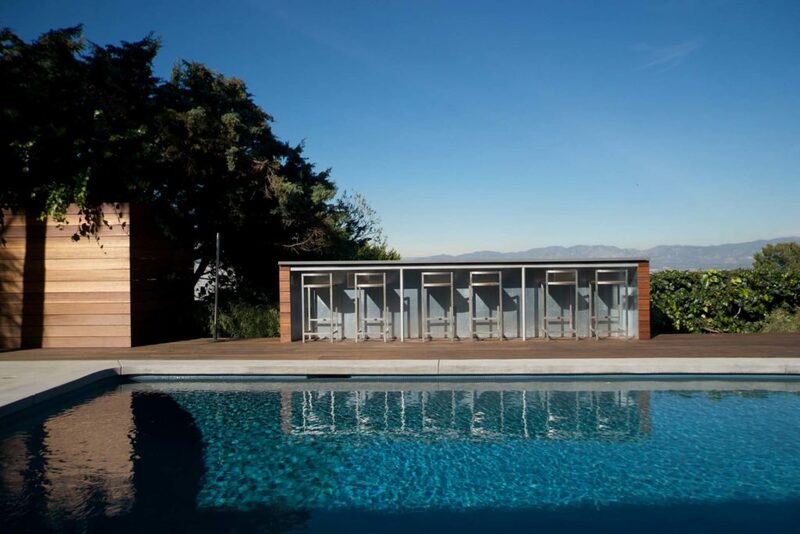 In order to minimize the boundaries between inside and out and to connect the enclosed space with its surroundings, we regard landscape design as a closely related discipline to architecture. 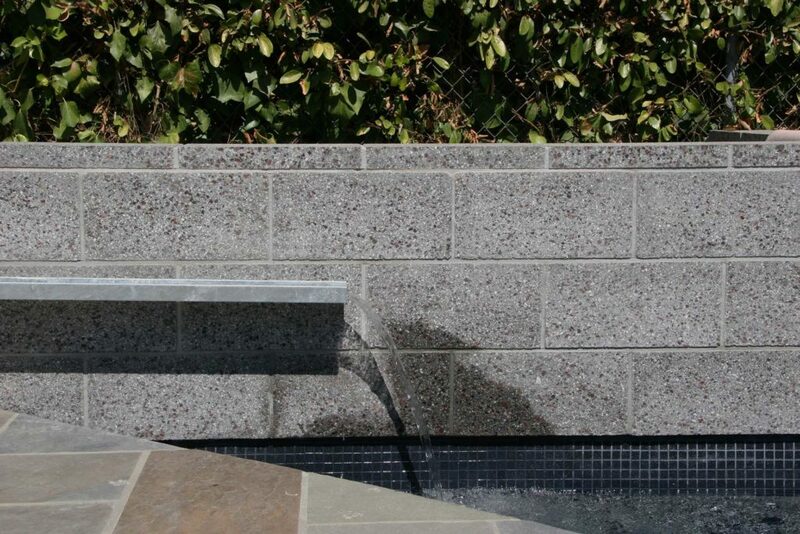 To achieve his goal, landscape design is an integral element of our architectural design approach. Similar to the way interior design can enhance and strengthen the inside of a building, landscape design can anchor it to the land and place it in its natural environment. From site planning to landscape design, hardscape to outdoor furniture, each element is considered in the context of the site and its structures. The exterior of a building is part of its livable area and can enlarge and broaden the appeal of its interior spaces. A contemporary landscape needs to consider environmental factors, such as water preservation and incorporating native vegetation. The use of drought-resistant plants, placement of plants and structures for shading, a mix of permeable and solid surfaces and water reclamation methods are all efforts to achieve a sustainable landscape. To complement its architectural and interior design projects, nonzero\architecture offers furniture and product design. Customized solutions add to a cohesive environment and provide ergonomic as well as esthetic advantages for a wide range of situations. Custom designs that can enhance and fortify the architectural and interior design of our projects range from kitchens and bathrooms to workspaces and receptions and beyond. Customized indoor and outdoor furniture as well as built-in or freestanding shelves and cabinets can be designed and built fro commercial and residential applications. 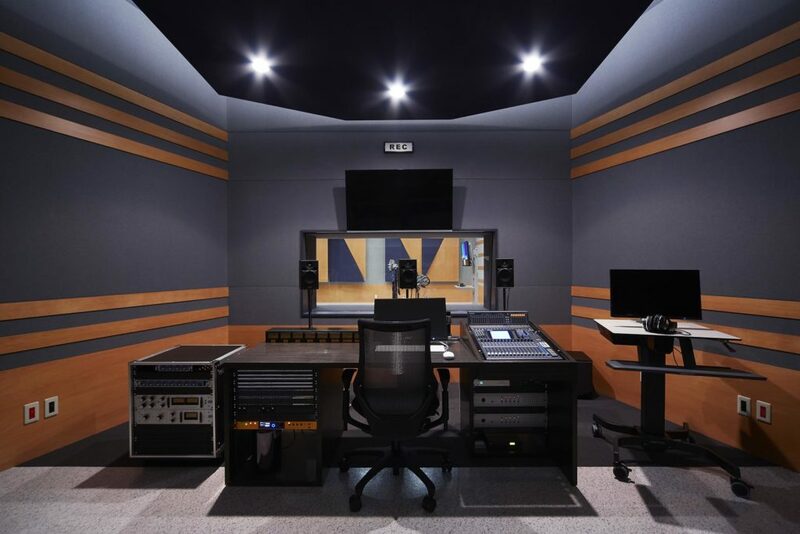 Media production facilities and sonically sensitive environments can benefit from our pre-engineered, customizable or unique acoustic elements and customized media-production workstations. Many projects have very unique and unprecedented needs, contact us to discuss possible solutions. 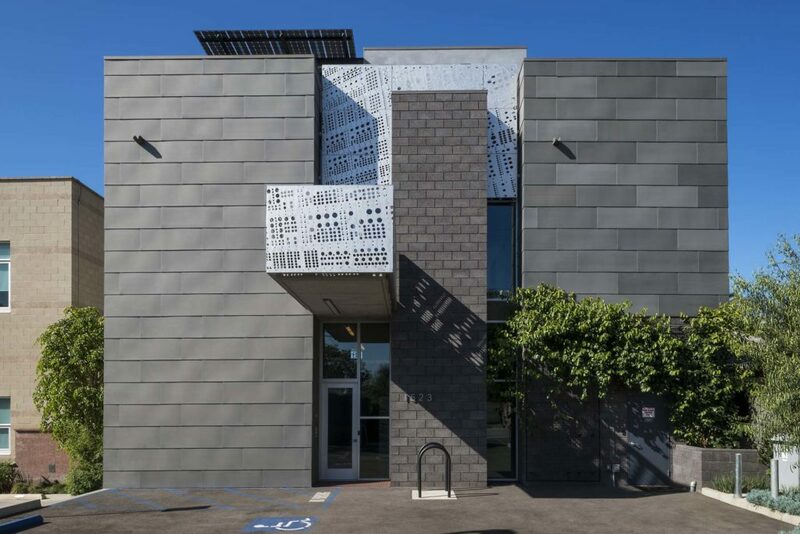 nonzero\architecture, including its studio bau:ton division, offers complete integrated design/build services through its closely affiliated partner Greeniron Constructs, Inc. The integrated architect-led design/build approach offers clear advantages to interested owners, by addressing both the intrinsic problems with the traditional design-bid-build process and with the common contractor-led design/build approach. Owner’s can decide to engage our design/builder as the single source-entity at the start of a project, with our architects exclusively providing the design services. Alternately, a traditional design process can first be initiated with the architects and the decision to engage the affiliated builder can happen at a later time. In either case, entrusting a project to our comprehensive design/build team limits the time and effort required of the client and the range of entities necessary to contract with. It allows busy owners to focus on their core activities, and to rest assured that their project is being handled in the most professional way possible while reducing their risk and exposure. With the architect in charge of the construction process, tighter controls over all aspects of the project are possible, from the preservation of the design intention to a close adherence to a budget and construction schedule. A very old approach to architecture and construction that had been neglected for a number of years, architect-led design/build is making a comeback with a growing number of successful practitioners and clients. 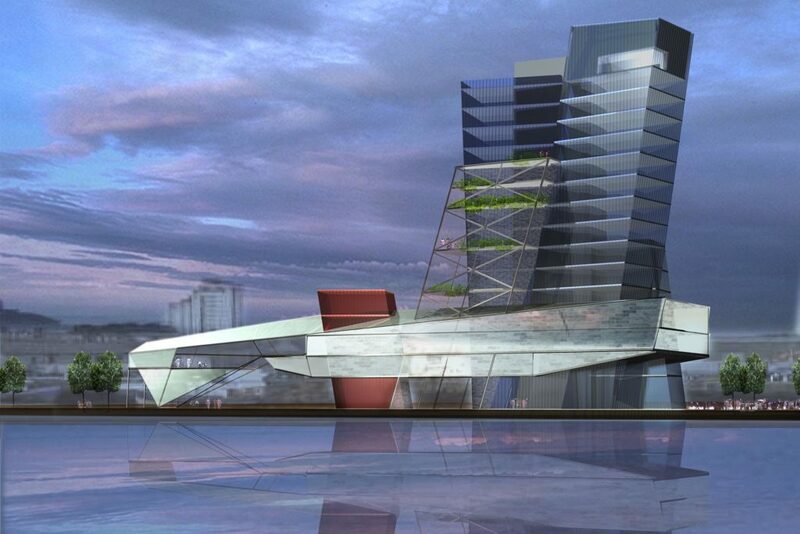 Complete integration of design, construction and technical infrastructure. Design/build project delivery works for smaller as well as for large and highly complex projects. Furnishings, technical systems integration, equipment specification, purchasing and installation can be included in the package if required on any given project. Construction services for all types of nonzero\architecture and studio bau:ton design projects are available through its affiliated partner Greeniron Constructs, Inc.
Our customized design/build process ensures efficient and economical construction for each project. For clients, the close collaboration between designers and builders in our team-oriented process amounts to dealing with a single source and to complete continuity for all aspects of a project. In this arrangement, the architect plays a major role on the construction team and is directly responsible to the owner for the quality the construction and adherence to the design intent. Precise construction costs can be established during the design development process by the design/build team, rather than after completion of all drawings, as is typical in a design-bid-build setup. Accurate construction schedules can be determined early in the process and are typically shorter than in traditional project delivery methods. A highly selective process ensures that only the best contractors and subcontractors are part of the team. Greeniron Constructs, Inc. is a licensed General Contractor in California and collaborates with highly qualified GC’s and subs. 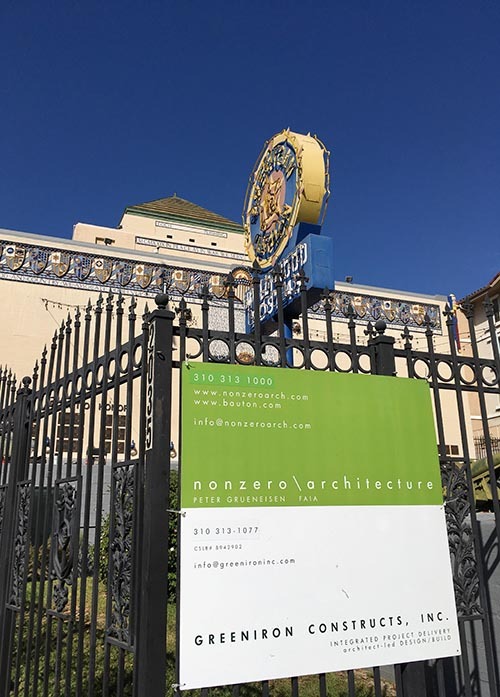 On projects where outside contractors are chosen for our designs, nonzero\architecture provides full construction administration and observation services, or can be engaged as the project or construction manager. Fabrication services for nonzero\architecture and studio bau:ton projects are offered through its affiliated partner Greeniron Constructs, Inc.
Our teams of designers and highly skilled craftsmen can design and build furniture, millwork and installations for all types of commercial and residential projects, buildings, interiors and outdoors. For specialized media production projects and for sonically sensitive environments, modular workstations and a series of pre-engineered and highly customizable acoustic elements are available. Customized solutions for complex design problems are what we do best, from identifying the issue to finding the best design to delivering a perfect execution. 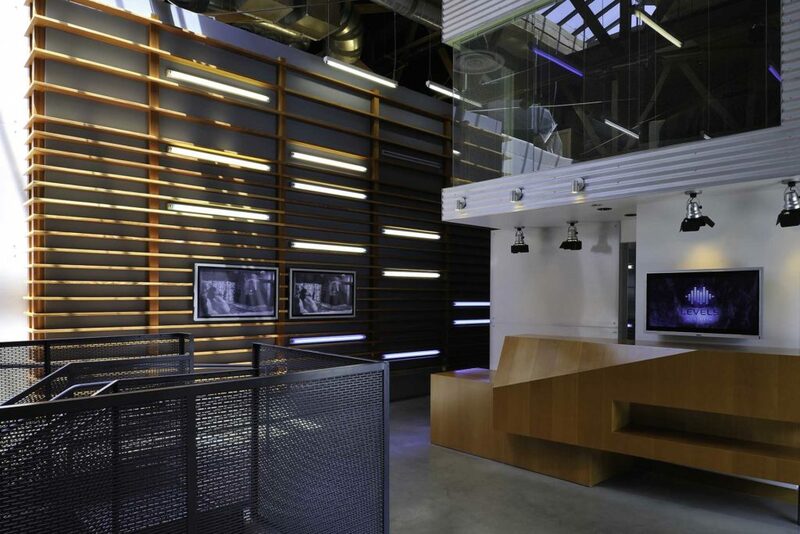 Specialized media production facility projects depend on a highly collaborative process and the tight integration of the design, construction and the technical infrastructure. The best way to achieve a seamless result is to integrate the disciplines under one single-source entity. 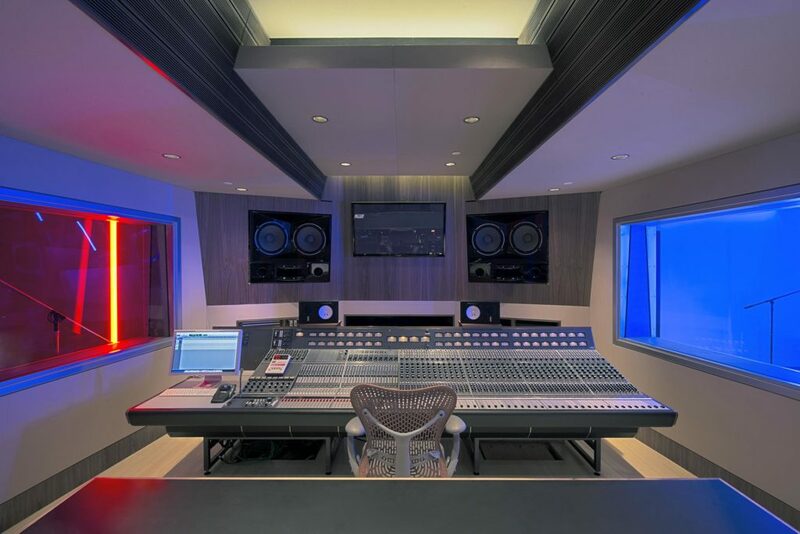 Collaborating with the industry’s best engineers, systems integrators and wiring technicians, we can offer complete design/build packages for studios and other media facilities. From equipment evaluation and purchasing to systems integration design and wiring installation, our highly qualified teams assemble comprehensive solutions for complex projects. Turnkey delivery of a complete design, construction and equipment package is the ultimate path to achieving a highly customized, yet trouble-free project. An ideal solution for owners with limited time available, it allows them to choose their preferred level of involvement; ranging from a strong hands-on engagement with the design team to a more remote and delegated approach. In either case, the decision-making process is tailored to the individual client’s situation and the resulting project will be executed to the absolute highest level of quality and integrity. Leaving a complete integrated project package in the hands of our experienced team members assures clients a close adherence to the budget and schedule. It guarantees strict compliance with the agreed-on design intent and a highly professional execution of all construction and integration aspects. Complex and elaborate projects, such as studios, performance and media rooms are particularly well suited for turnkey delivery, but other types of buildings and installations are available on request. While the best results are guaranteed with the involvement of the complete nonzero\architecture, studio bau:ton and GCI team for an entire project, more limited scopes within larger projects may be considered on a case-by-case basis. 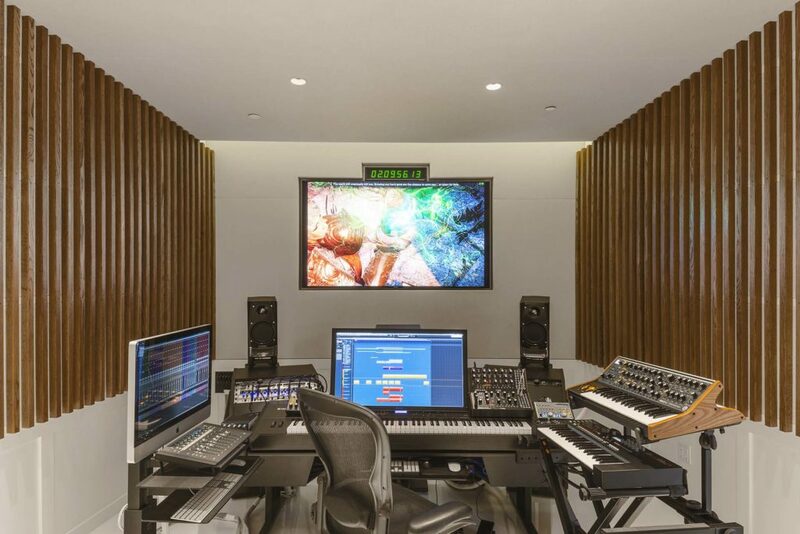 For example, a dedicated recording studio or screening room project within a larger residence or commercial project can be designed, built and equipped as a complete package by our team. Owners, architect peers, designers, builders or construction managers are welcome to inquire about this unique service for specific projects.